JASON QUIGLEY - “no ordinary fighter” according to Golden Boy’s chief matchmaker Robert Diaz - is closing in on a long-awaited Ireland debut. 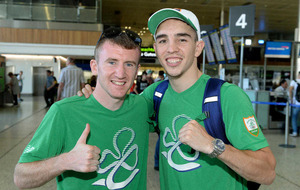 Diaz, who ran the rule over Michael Conlan at the Rio Olympic Games, says the unbeaten LA-based Ballybofey middleweight (11-0) is “one of the young fighters that excites me”: “He’s fun, genuine, a good, good kid outside the ring and he knows how to turn on that switch. Once he gets in the ring, it’s all business,” he said. Quigley’s most recent fight was on the undercard of the Saul ‘Canelo’ Alvarez versus Amir Khan middleweight rumble in Las Vegas back in May. He coped well with a step up in class and distance against experienced campaigner James De La Rosa and took a unanimous decision on the scorecards. “It was quite a step up in competition, but the statement, and the stage, was the perfect one to do it at,” said Daiz. “It was a little bit tough for Jason because he had never been past four rounds, so going to 10 rounds… There was a lot of questions had to be asked himself. I loved it, he won every round, he was tough. 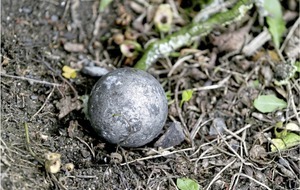 He was a little tired and that was expected because he had never been past four. He passed with flying colours and, if he had an eight or 10-round fight prior, I have no doubt Jason would’ve knocked him out - that’s how confident I am. “He got 10 quality rounds with an experienced fighter who had prepared properly - he was supposed to fight David Lemieux. We had a meeting with the team and it’s very different from a lot of young fighters with 10 or 11 fights. With Jason’s amateur experience, his World Series of Boxing experience and his maturity inside the ring, we can look forward to bigger and better things very soon. 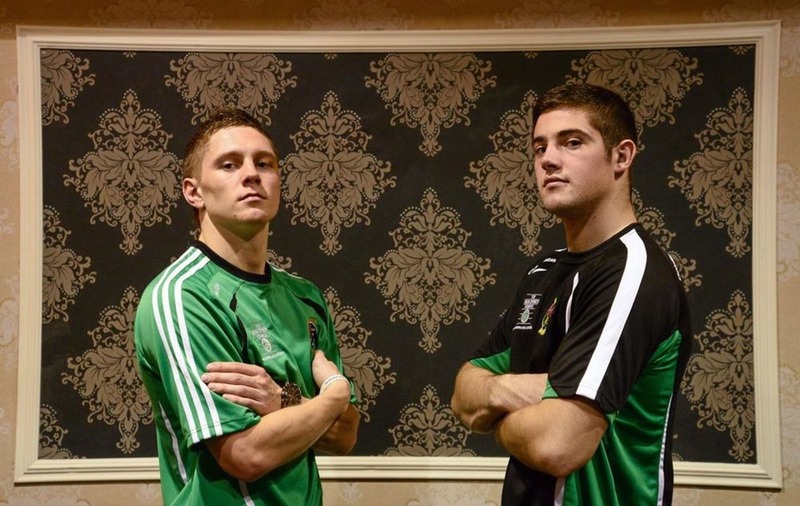 Diaz’s plan to get Quigley in with “a former title challenger” dovetails perfectly with the Donegal man’s ambition. He wants a scrap with one of the fighters at the top of the middleweight ladder right now - Alvarez (who had too much for Liam Smith last Saturday night) or Gennady Golovkin (who stopped Kell Brook in five rounds in London). 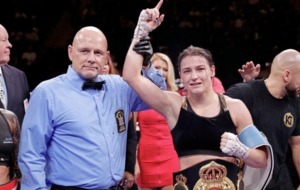 “I love that in a fighter - for them to have those goals,” said Diaz. “Especially today, where a lot of fighters don’t want to fight the best, you gotta love a fighter who has that drive and that character. The zero, the undefeated record is important, but it’s not the most important. It shouldn’t be the most important. Goldenboy have never run a show in Ireland and Diaz would like to see Quigley headline their first as a champion: “We’ve been in talks in the past, we have a very good relationship with Barry McGuigan and I think it would be great,” he said. “He’s obviously done a great job here in America, winning his fights, getting on the bigger cards. He’s very well liked by the fans and media out here. If he wins some part of the world title, an interim title even, and he goes home and defend his title - that would be huge, that would be great. He goes back as a champion. 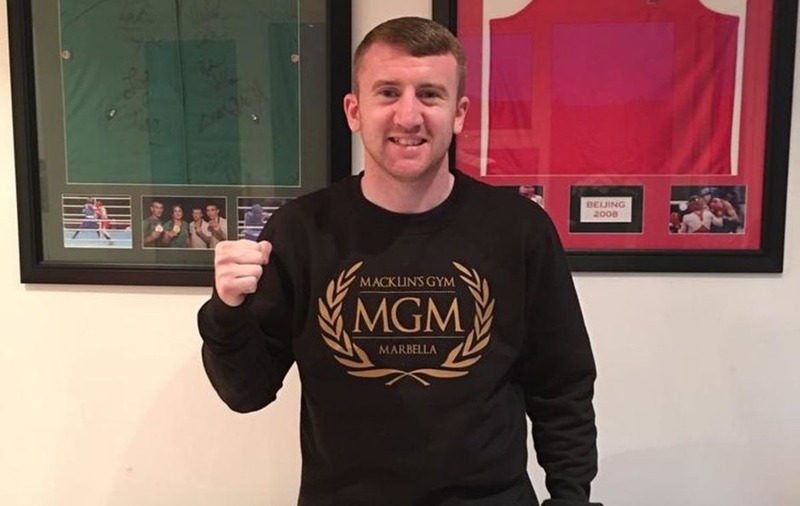 Macklin's Gym, Marbella have confirmed the signing of Paddy Barnes. 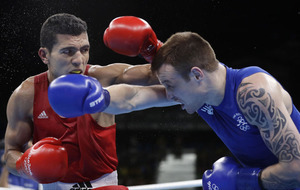 “Paddy is a special talent," said Matthew Macklin, "to represent your country with such distinction is a reflection of the ability he possesses. We anticipate Paddy will feature prominently on the world stage and we look forward to many great nights for Irish boxing moving forward." UNDEFEATED lightweight contender Paul Hyland jnr takes on experienced former European champion Felix Lora in the headline act of ‘Another Level’ at the Europa Hotel, Belfast on Saturday, October 8. 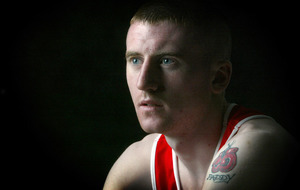 Lightweight ‘Hylo’ has taken his record to 12-0 with a succession of entertaining wins and tops an action-packed bill that includes Belfast-based Dundee super-feather Ronnie ‘the Shark’ Clark. Clark lost a hammer-and-tongs Celtic title rumble with Anthony Cacace last year, but has since bounced back to win the Scottish super-featherweight belt with a 10th round KO of Jordan McCrory. As well as Cacace, the Shark (15-3-2) has been in with Maxi Hughes and British Featherweight champion Ryan Walsh and takes on Reynaldo Cajina, from Nicaragua, at the Europa. 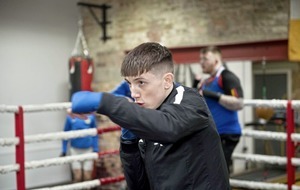 Now based at Belfast’s Kronk Gym with Tony Dunlop, Clark feels the proper training and the valuable experience he has received will propel him to a British title shot. “Ronnie has everything it takes to go to the top, he is very dedicated and fears no man, what he has lacked he has now gained since joining my stable,” said promoter Mark Dunlop. 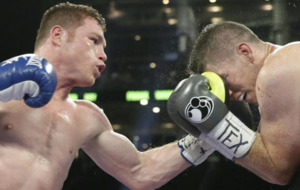 LIAM SMITH is not focused on future fights against Kell Brook and Amir Khan following his ninth-round knockout defeat to Saul 'Canelo' Alvarez in Texas last Saturday night. The Liverpudlian, fighting on American soil for the first time, lost his WBO light-middleweight title after Alvarez ended the fight with a punishing body shot, which left Smith writhing around in agony as he failed to beat the count. With Khan and Brook moving up two weight classes and failing in their bids to dethrone Alvarez and middleweight kingpin Gennady Golovkin respectively, spirited showings by all three men looked to have set up potential clashes in Britain. But the previously undefeated Smith, who was making the third defence of his world title, insists he has no interest in those domestic clashes in the immediate future: “We'll see what the future holds, but we'll plan our own route," he said. “We're not thinking around anyone else. We'll see what weight we want to go and what weight gets us back to where we want to go. I'll let the cuts heal and then get back in the gym. I've had a cut all the way through [training camp], so I'm going to let it heal properly now. I wasn't coming for the occasion, I'll probably cry my eyes out before I go to bed. I didn't come to make up the numbers in front of 50,000 people, I came to defend my title.